WTB16. Collection of the artist. 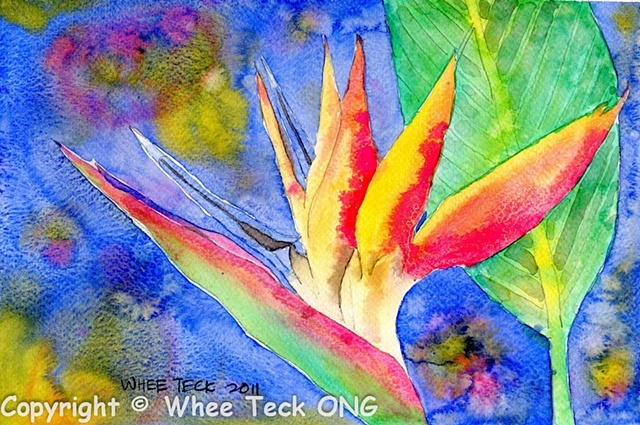 A colorful rendition of the bird of paradise, which will be a recurring theme by Whee Teck. Bright Yellow with granulating pink (in this case W&N Permanent Rose). Beautiful granulating texture for background to capped this watercolor painting.